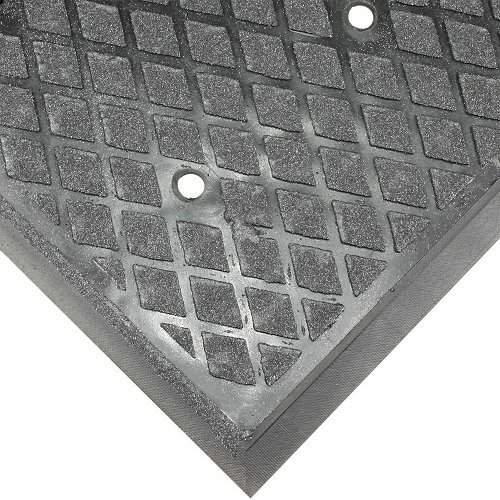 Traction Hog Drainable comes in 2 standard sizes and has a slip resistant rough surface. The ideal matting for any wet or oily areas. 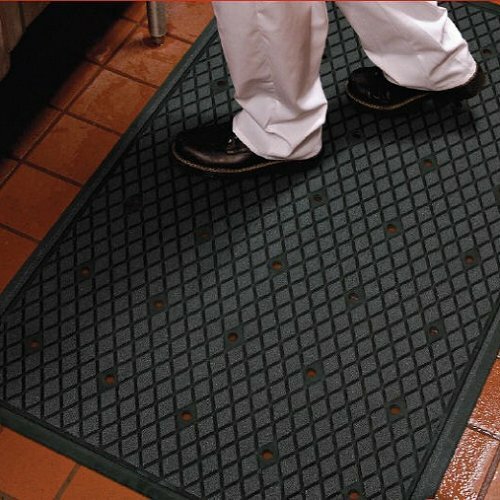 This mat is anti-static, UV stable, 100% grease proof, has a low profile border and comes with holes throughout for drainage making it an all round great mat. The backing of the mat has a specially designed disk shape which minimises movement on the floor. Traction Hog Drainable is great for, but not limited to - manufacturing, mechanical workshops and cool rooms.